Result: Glenavon 0-2 Ballymena Utd. 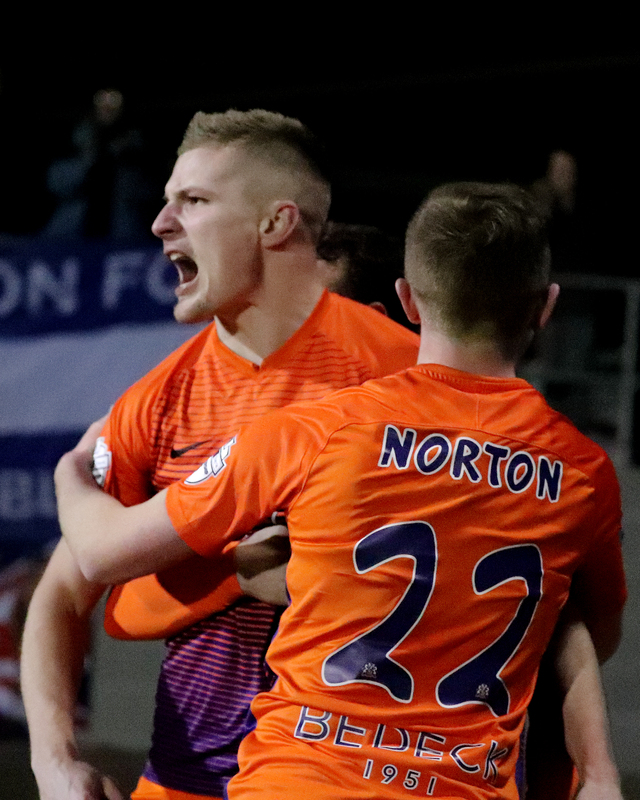 Home/Premiership/Result: Glenavon 0-2 Ballymena Utd. 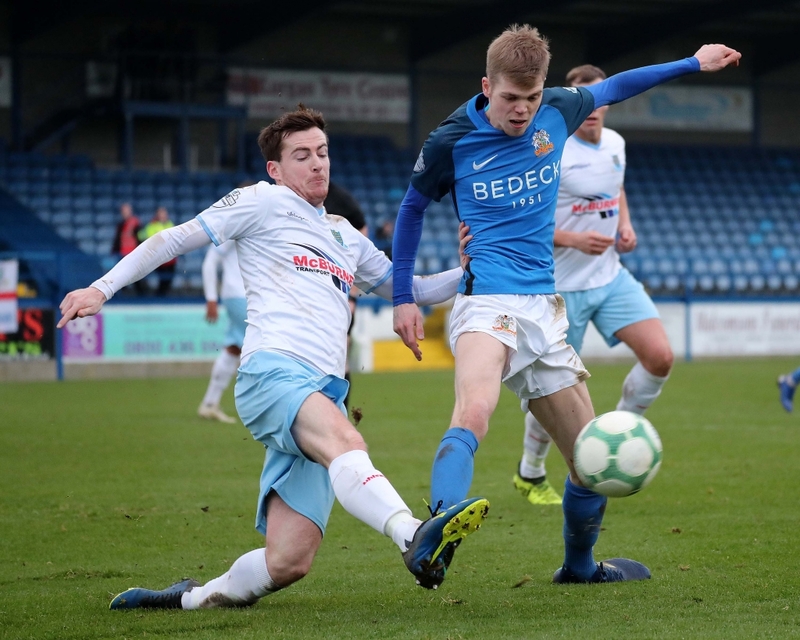 Ballymena United deservedly won today’s Danske Bank Premiership fixture, their first victory at Mourneview Park since February 2012, with goals from Adam Lecky and Jude Winchester. 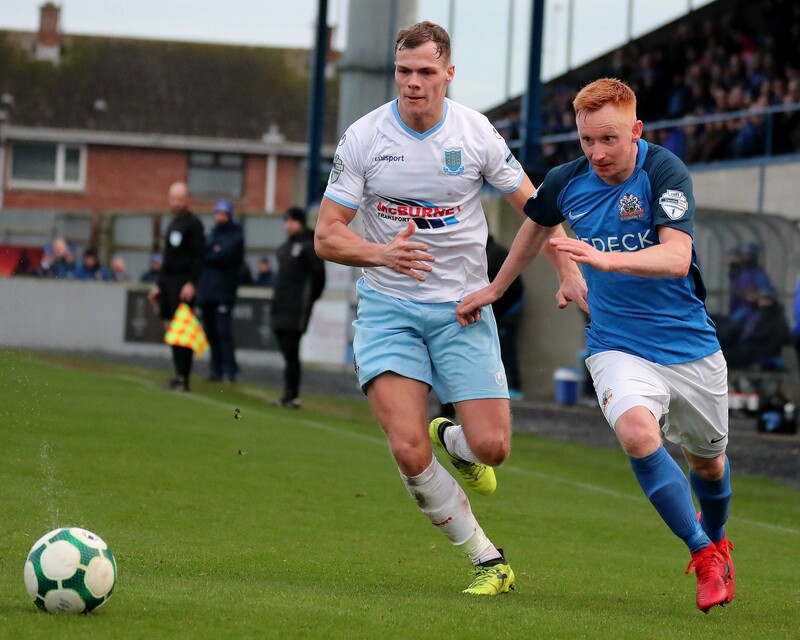 Glenavon failed to register a single shot on target in the entire 90 minutes as injuries and suspensions saw Gary Hamilton start with a rare 4-3-3 formation before switching to 3-5-2 for the second half. A bad error by Jonny Tuffey saw him spill what seemed an innocuous shot from Cathair Friel before Lecky’s follow-up shot rebounded off the keeper’s chest, onto Rhys Marshall leaving the tall striker with an easy finish from almost on the goal line to give the visitors a deserved 12th minute lead. 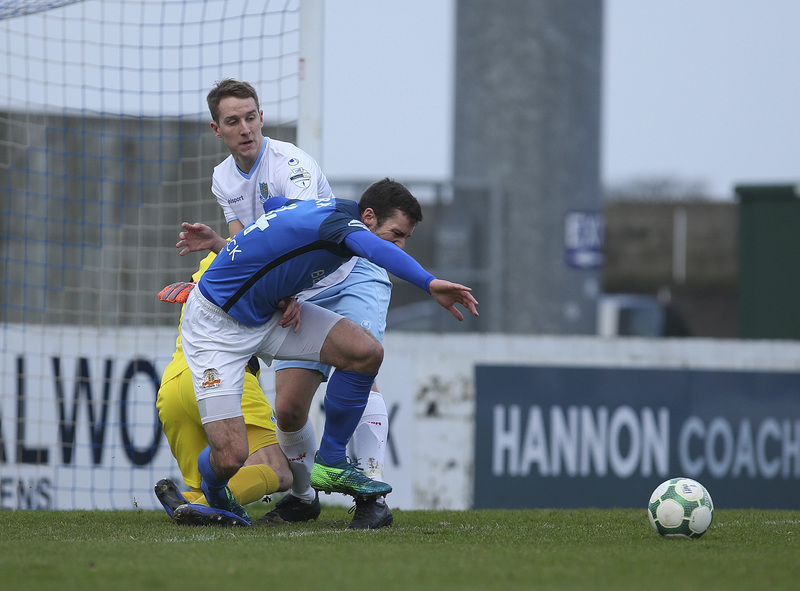 Glenavon were incensed when they were denied a clear penalty in the 29th minute after Josh Daniels crossed to the near post and Jonny Addis bundled over Stephen Murray in front of goal. While the first goal may have owed a lot to luck, the second was a classy move out of defence by the Sky Blues with Lecky splitting the home defence with a neat pass into the run of Winchester who made no mistake when one on one with Tuffey. The closest Glenavon came to a goal came four minutes from the break when Daniel’s crashed a header off the upright from an Andy Hall corner. Switching to a 3-5-2 formation for the second half, Glenavon at least limited the visitors to rare forays forward but Kofi Balmer will wonder how he only managed to hit the outside of the post with a side-foot effort in the 74th minute when a corner from the right came all the way to him at the far post. Robert Garrett impressed on his debut, winning the sponsor’s Man of the Match Award.